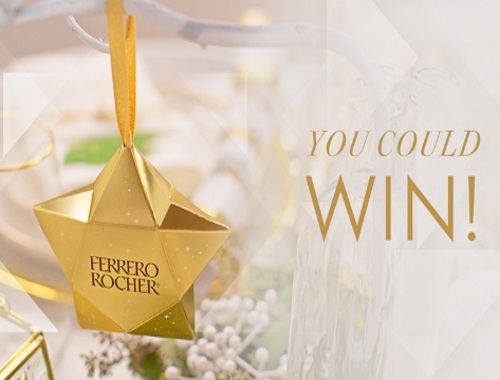 Ferrero Rocher is giving away Free Decorative Star Ornaments! To get one just send Ferrero Rocher a private message on Facebook that includes “Star Ornament Giveaway entry”, together with your full name, email address and mailing address, including postal code to be entered into the Giveaway. No purchase necessary. Open to legal residents of Canada, excluding Quebec, who at the time of participating has reached the age of majority in the province/territory in which he/she resides. Giveaway Period begins on 12/20/16 at 5:00pm ET and ends on 1/17/17 at 11:59pm ET.